US provincial continues to learn more about Congo and its people | Walk with us! 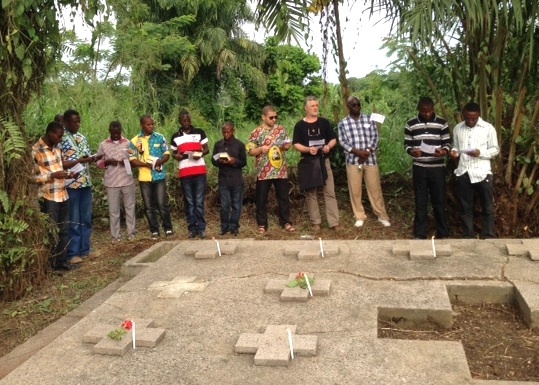 SCJs pray at the tomb of the martyrs in Kisangani. Fr. 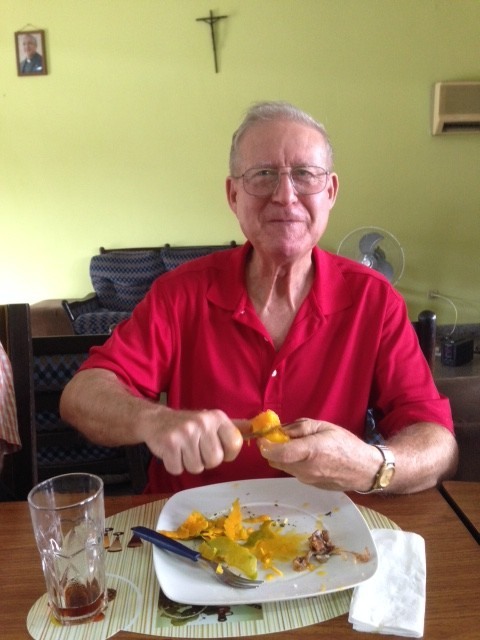 Stephen Hufstetter continues to share his journal entries from his visit to the Democratic Republic of Congo for the commemoration of two 50th anniversaries: that of the deaths of 28 SCJ martyrs in Congo, and the 50th anniversary of the establishment of the Congolese Province. We’ve heard reports that back in the States heavy snows have snarled traffic and changed travel plans for many people this week. Ice and snow are the last thing on my mind as temperatures climb into the 90s most days in Congo. The issue here is rain and its effect on roads. Outside of the city, none of the roads are paved. We were supposed to travel east to the area of Wamba, where a ceremony will commemorate the large group of SCJ martyrs who lost their lives there on the 26th. But roads are a muddy mess, and cars and jeeps that have attempted the trip have gotten bogged down or had to turn back. After many days on the go, a slower day to read and take a long nap was greatly appreciated. The sidewalks outside our rooms were busy with visitors who took the opportunity to see Fr. Claude and Fr. Francois after their homecoming of many years. Fr. Zenon, the Congolese provincial and I sat down to discuss ways we can collaborate with one another. His province is quite pleased that we offer an English as a Second Language program in Hales Corners. He wants to continue to send men there in summers because English is becoming more and more useful as the international language, especially in the congregation. The U.S. Province is also sponsoring one Congolese member for continuing theological education. 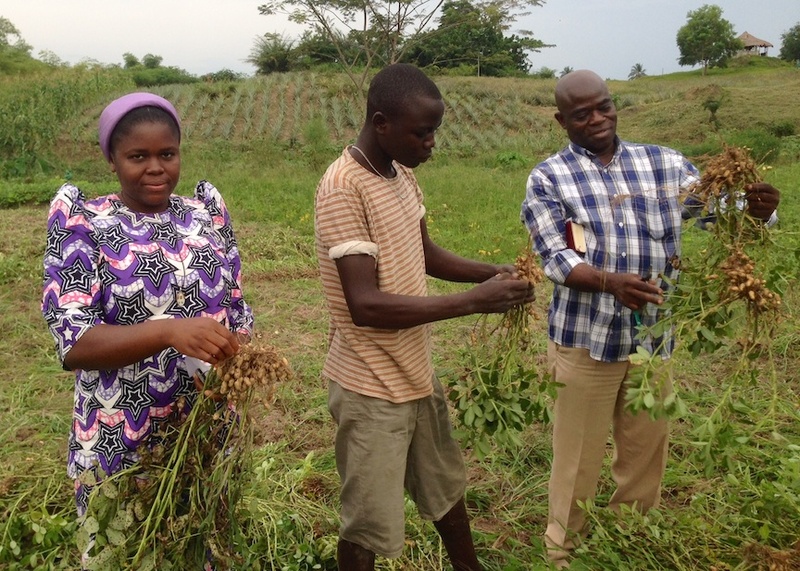 While studies in a different country are a difficult undertaking they see it as a way to help their province train experts in fields they need to support their works. We also talked of finances. Monies from our donors in the States go much further in a developing nation such as Congo. In schools that struggle mightily to teach the basics, $50 a month is the salary for an average teacher. Besides social projects, a lot of our financial help keeps the formation programs for our seminarians going. With our travel plans east still canceled with impassable roads we were able to make a trip of 120 kilometers to the north on red dirt roads to the village of Banalia. This was one of the early SCJ missions staffed by the Dutch Province; Fr. Hermann Bisshops, SCJ, was killed there on this day in 1964. Along the way we saw many homes made of mud brick and leaf roofs. Pigs, goats and chickens constantly crossed the road, and far more traffic was on foot. Villagers carried large baskets with goods on their heads. Wood fires burned as people prepared food for their families. Bicycles laden with cassava leaves and bananas carried the goods to market. We had a few stretches with only trees and plants, but I was surprised by the constant patches of homes even as we got further and further from the city. Most people live along the roads, with far fewer in the interior. We saw many children in uniform walking to school. We also saw many children working or playing, obviously not in school. when asking about this, I was told that education is mandatory but many of the children cannot afford the $5 per month school fees, and don’t attend. We crossed over a couple of narrow bridges. Only one car could pass over at a time. Through broken wooden planks you could glimpse the rushing river below, and crossing over was an act of faith. At one river crossing we saw a hydroelectric dam which supplies most of the power for the region. St. Elizabeth of Hungary church in Banalia stands tall and proud, though weathered and aged. The mission has been turned over to diocesan priests and the three of them hosted us for lunch and a tour. Also passing through the area was Bishop Joseph Banga Bsne of the Buta diocese. He serves as vice president on the Congo bishops conference and as we sat in a circle of chairs around the courtyard, he discussed church and political issues with us. Congo has vast resources and potential. But it is a country where the rule of law is hard to enforce. Taxes and fees that should go to the common good end up enriching individuals instead. Those with wealth and power seem far distant from the needs of the villagers. Because of poor roads it is a great undertaking for a parish priest, let alone a bishop, to maintain good contact with his flock. After lunch we went into the village and visited the only hospital for many miles. It was brightly painted and well kept. The waiting room was an open brick building with spaces to build fires. Families will cook food there to take to their sick relatives. Staff say the most common problems are malaria, typhoid, TB and pneumonia. They are able to perform c-sections here. Since most women prefer to work with midwives, the hospital may not get the patient until the delivery has already begun and complications have set in. They try to do a good deal of education and preventative health care. Yesterday we toured the scientific and educational institute which is a center of natural sciences, with a focus on agricultural and botanical studies. They took over a former tobacco factory and created a place of great significance to the local and national economy. Their current pet project is developing strains of bananas that are resistant to the blight that has stuck some areas. We toured both the test plots and the laboratories where different plant strains are tested. A beautiful walking trail with a wide range of native plants and trees was most like “the jungle” I had pictured in my imagination. The only wild animals though we’re in the small museum nearby. We also toured the schools run by the Marist community. They educate 1,400 grade and high school students , and staff a small college with about 700 enrolled. I saw bright read and blue patches on the school lawn, and wondered what that could be. Gym clothes were drying out after PE class — much better than the smell of wet towels I remember from Jr. High days! Students also help the school by doing manual labor. Some were cutting wide swaths of grass by hand with machetes and scythes. I’m aware that today in the States is Thanksgiving Day. I’m thankful to family, friends and community members back home, and pray their celebrations are joyful.